The Golden Triangle was named during the Vietnam war when opium was being smuggled between the borders of Thailand, Myanmar and Laos. Today, this area of Southeast Asia has become a budget traveller's paradise. With cheap accommodation, delicious and inexpensive local street food, and low-cost transportation, it's no wonder why thousands of gap-year travellers and backpackers flock here every year. 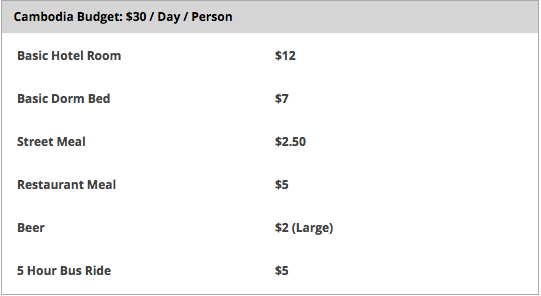 But the days of $2 beach bungalows and 10 cent meals are gone. So how much do you need to "get by" in these countries? 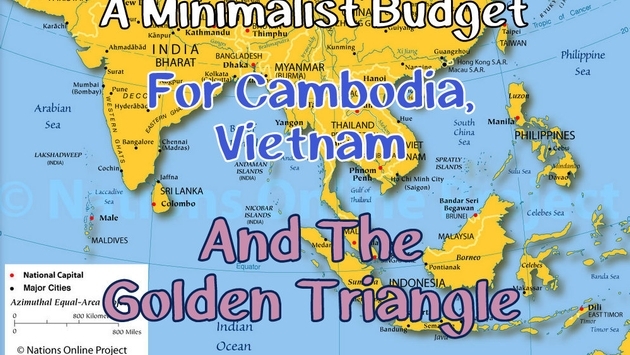 Here is a minimalist budget for Cambodia, Vietnam, Myanmar, Thailand and Laos. Thailand: Probably the third most expensive country in Southeast Asia (first is Singapore, then Brunei) Thailand is where most backpackers start their travels through the region, so this is where we'll start our budgeting. 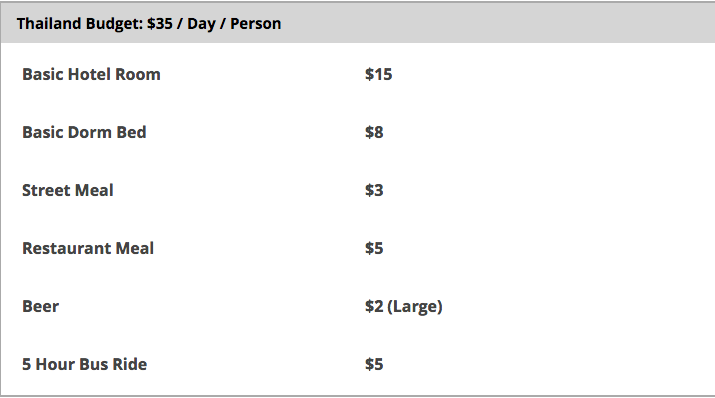 Cambodia: Here you'll find things to be a little bit less expensive, but the value / dollar is very similar to Thailand. The great thing about Cambodia is that sites like Angkor Wat are still very reasonably priced and you can get around for fairly cheap. Laos: It seems that tiny Laos saw Thailand's exponential growth in tourism and tried to match it or beat it in every way possible. Unfortunately, it doesn't beat out Thailand for cost or value for money, but it is still a very affordable place to travel. Vietnam: Another place where your money will go quite far, Vietnam offers some excellent tours like the Mekong Delta and Chu Chi tunnels at great rates. Don't be afraid to head into a travel agent here, you may find that you can do trips cheaper through an agency. Myanmar: Things are changing quickly here, so if you want to enjoy Myanmar on a budget, you had better go there soon! Since Aung Suu Kyi stated that tourists should enter Myanmar, the country has become remarkably popular. Swarms of backpackers now fly in from Thailand, and international tour companies are selling seats on tour buses that circle the country in a week. 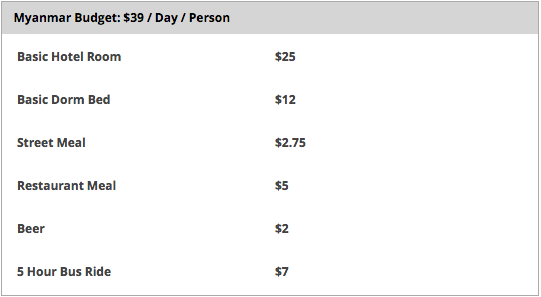 Prices aren't as good as they once were, but Burma is still great value for money. If you're planning a tour around Vietnam, Cambodia and The Golden Triangle, expect to have great experiences at an excellent value. This is one of the best places for budget travel and the figures above won't limit your fun. At these daily budgets, you'll still be able to enjoy delicious meals, fun excursions and comfortable beds to sleep in. Have you been to this region? Did you travel with less money? Please share your budget below!